SunPower has achieved a 15 percent efficiency increase in its panels in part by incorporating a novel design: solar shingles. For only $9 in additional costs from adding solar cells, the San Jose-based manufacturer’s P Series solar panels can be structured like shingles, maximizing direct sunlight exposure and raising efficiency. Many of the features incorporated into the P Series solar panels were created by Cogenra, a solar panel producer based in Fremont, California, which was acquired by SunPower in 2015. Because of this increase in efficiency through a relatively simple design tweak, SunPower’s stock jumped 12 percent as investors recognized the profit potential for these new panels. Although SunPower has had trouble achieving profitability in recent years, its new designs are promising. 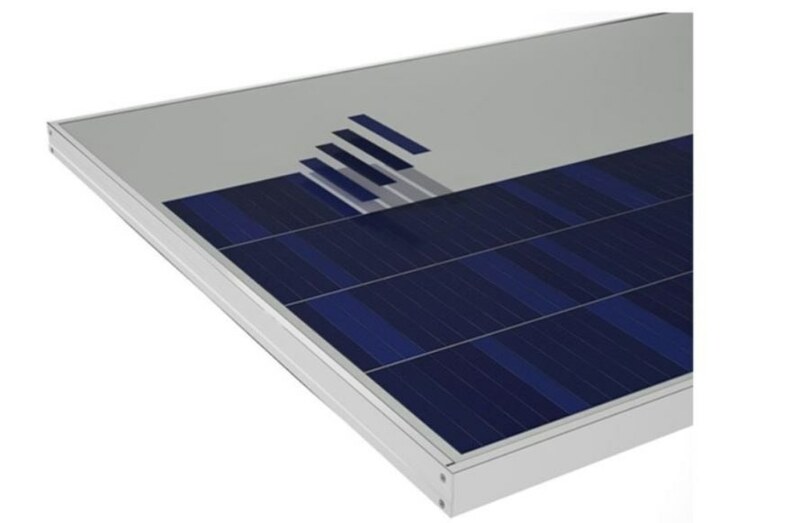 Unlike previous designs from the company, the P Series solar panels utilize cheaper, lower efficiency solar cells and make up for the efficiency loss through their shingling design. By shingling the solar cells, the space between cells is reduced, allowing more cells to be included on each panel. As a result, nearly 100 percent of the panel is covered with solar cells. The P Series also incorporates a design that relocates ribbons and solder bands to the back of the panel, once again making room for additional solar cells facing the sun. This innovation and others have enabled the P Series to achieve a much more affordable production price. Investors had previously expressed concerns over the high capital investment required to build new SunPower factories and the high cost of its earlier model panels. To prepare for a broader stake in the market, SunPower, in collaboration with Dongfang Electric and silicon giant Zhonghuan Semiconductor, will build what is expected to be the largest solar manufacturing facility on the planet. This joint project has been dubbed DZS Solar. A home in Northern California decked out with SunPower solar panels. A diagram outlines the energy flow of a P Series solar panel versus a traditional solar panel. The P Series solar panels achieve increased efficiency through the shingling of solar cells.